Richard B. Russell Library for Political Research and Studies: Ready to Run? 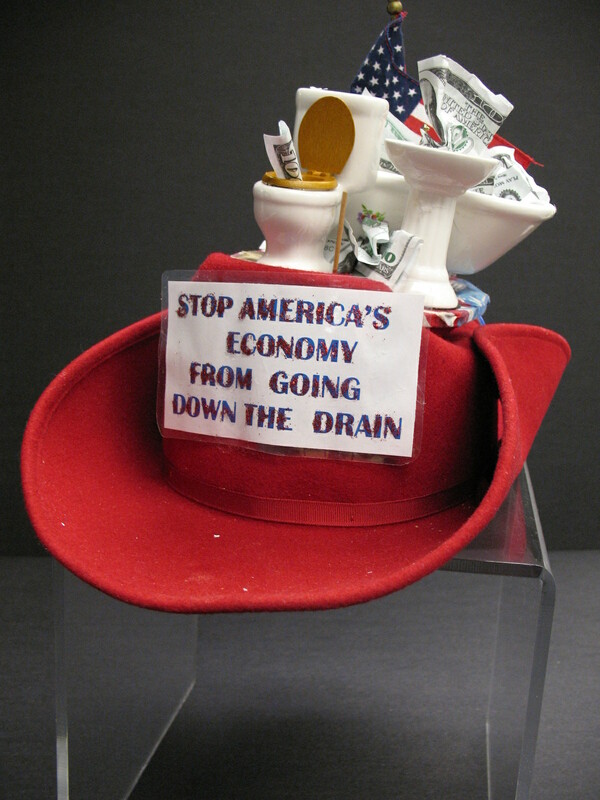 Right: Hat worn (and created) by convention delegate Maxine Goldstein to the 2004 Democratic National Convention. Maxine S. Goldstein Papers, Russell Library. Over the course of American political history, the methods and means of running for office have changed considerably. In the republic’s early decades, it was considered distasteful to openly campaign for an elected post. George Washington is said to have reluctantly accepted others’ nomination of him for the Presidency, and while early candidates such as John Adams and Thomas Jefferson most certainly had latent campaign apparatuses and surrogates working behind the scenes, neither man explicitly announced his electoral intentions, simply agreeing to serve when selected at his respective party convention. Starting around the late 1820s, when Andrew Jackson took his case to the voters in pushing his own candidacy and rejecting the “Corrupt Bargain” of 1824 by which John Quincy Adams had claimed the White House, candidates began holding publicly announced events resembling modern campaign rallies and fundraisers. In recent years, the phenomenon has shifted considerably. Due to the proliferation of up-to-the-minute media sources on radio, television, and the internet, and especially thanks to a 24-hour news cycle, candidates increasingly send the popular press signals about their ambitions some months or even years in advance, in essence launching “trial balloons” to test public sentiments about their potential candidacies. In the period before they announce, politicians are expected to and generally must start an exploratory committee and skeleton campaign account, assemble field staff, raise starting funds, hire consultants, pollsters, advertisers, and public relations executives, and debut an online presence. Republican presidential candidate Rick Perry was said to have broken unwritten rules of the modern “permanent campaign” by announcing his participation in the race on August 13 of this year, exceedingly late when compared to some other hopefuls (such as Mitt Romney, whom some pundits deride for “running for five years straight”). But Perry had already set the stage meticulously in the months before his announcement. Just this past week, New Jersey Governor Chris Christie and former Republican Vice Presidential nominee Sarah Palin declined to run after months of speculation surrounding their intentions. In today’s environment, it would have been almost unthinkable for credible presidential candidates to assemble campaign teams and begin fundraising as late as the October before primary season, which kicks off with the Iowa caucus this coming January. It is difficult to imagine scenarios today like that of 1968, when eventual Democratic nominee Hubert Humphrey announced his interest on April 27 of an election year and amid an ongoing primary season. Today such timing would likely render a candidate—at least one for the Presidency—irreparably behind his or her opponents in fundraising, field organization, publicity, and grassroots support. Above: If she ever tossed one of her hats into the ring, it would be hard to beat! 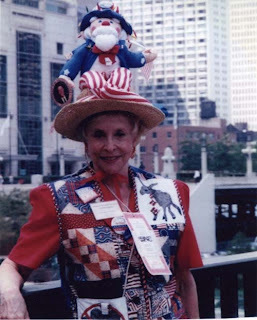 Maxine Goldstein, convention delegate extraordinaire, models her outfit for the 1996 Democratic National Convention. Maxine S. Goldstein Papers, Russell Library.